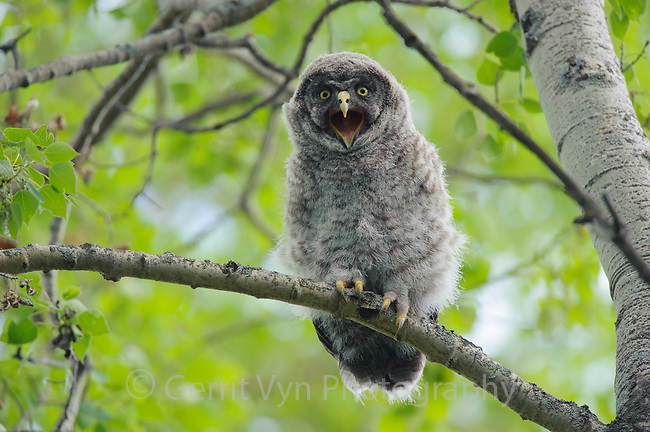 A juvenile Great Gray Owl (Strix nebulosa) giving its begging vocalization. Young great grays utter this call steadily throughout the day and night to solicit their parents to feed them. Central Alberta, Canada. June.